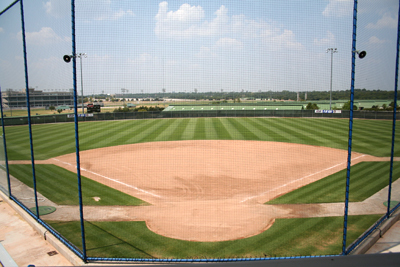 The Softball Capital of the World® is the ultimate destination in the softball world! 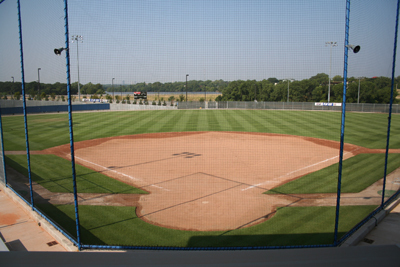 With four fields and other world class amenities, the Complex has played host to the best softball competition in the world, including USA teams that represent the nation in international competitions. For media wishing to cover USA Softball Hall of Fame Complex events or the USA Softball National Teams, please click here for media policies and credential request form. USA Softball does not sell tickets to the NCAA Women's College World Series. Visit NCAA.com/WCWS or call (866) 208-0048 for Women's College World Series tickets. Since it was built in 1987, the USA Softball Hall of Fame Complex is the Mecca of Softball®, and is home to some of the most outstanding softball events in the United States, including the NCAA Women’s College World Series (WCWS), the World Cup of Softball, Border Battle, the USA Softball 18U GOLD National Championship and the USA Softball Slow Pitch Championship Series. Annually, the USA Softball Hall of Fame Complex plays host to the nation's No. 1 collegiate contest, the NCAA WCWS, which annually draws more than 70,000 spectators from around the nation and has had record setting crowds since 2010. The USA Softball Hall of Fame Complex has hosted the event since 1990 and is scheduled as the home of the WCWS through 2035. For tickets to Complex events visit USASoftballStore.com or call (800) 654-8337. So why is the USA Softball Hall of Fame Complex the Softball Capital of the World®? The USA Softball Hall of Fame Complex reached this status not only from the NCAA WCWS, but due to the numerous other events, both national and international, with events booked for 30 weekends each year. Together, the events attract more than 150,000 fans a year to the stadium, making it a year-round operation and destination for softball fans and athletes. In addition to a long history of hosting the best-of-the-best in competition, the USA Softball Hall of Fame Complex has seen historic performances, with many legends of the game making their mark in the history books of the revered Hall of Fame Stadium. 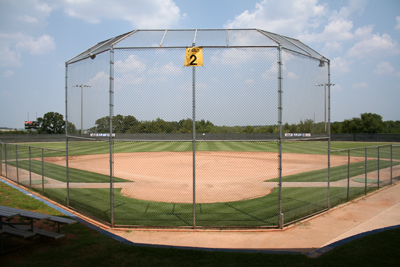 Many softball greats, like slow pitch sluggers Bruce Meade and Brett Helmer, Olympians Jennie Finch, Lisa Fernandez and Laura Berg and legendary NCAA Softball coaches Sue Enquist and Mike Candrea, have stepped on these hallowed grounds, creating a legacy that continues to inspire softball players across the globe to this day. With the ability to have four separate games going on at one time, ballpark visitors are able to watch a variety of teams all day long while enjoying the amenities the USA Softball Hall of Fame Complex has to offer. Sitting on more than 18,000 square feet of land, visitors can watch a game at the stadium and take a short walk over to the National Softball Hall of Fame and Museum. With a variety of fan, athlete and umpire amenities, it’s no wonder why every softball participant and enthusiast mark the USA Softball Hall of Fame Complex as an item on their bucket list. With state-of-the art features like a digital videoboard, free Wi-Fi, free live streaming and stats from all events, hospitality buildings, team locker rooms and facilities, the USA Softball Hall of Fame Complex continues to grow and develop additional services and comforts to provide an even better experience for visitors. The National Softball Hall of Fame and Museum is a permanent shrine to former and past players of the sport who have had exceptional careers and have been a major factor in growing the game of softball. The first floor highlights the colorful history of softball on story boards and panels with cases filled with memorabilia of past Hall of Famers. Visitors are also provided a glimpse of softball’s history when it was part of the Olympics. The lower level includes dynamic displays highlighting the NCAA WCWS, the Big 12 Conference and the USA Softball Collegiate Player of the Year Awards. Also on display is a timeline of events, from the game as it was in the early days to the continued growth today. For those individuals requiring special seating under the Americans with Disabilities Act, we are happy to accommodate your needs. After placing your ticket order, individuals must contact the USA Softball Hall of Fame Complex Events Department by calling (405) 424-5266 and asking for a member of the Stadium Events staff during regular business hours (8 a.m. to 5 p.m. Central Time, Monday through Friday). In keeping with ADA guidelines, priority for special access tickets will be given based on the order that appropriate documentation has been completed and filed. As such, prompt action is strongly recommended. Wheelchair and companion seats will be assigned on a 1:1 basis. ADA patrons may also utilize the handicap parking spots available at the front areas of the parking lot towards the stadium entrance. For entrance into the four-field complex, patrons will be able to have access to the main entrance to the facility location to the east of the ticket booth. If special entry is needed, please contact a staff member at the front gate if you have specific needs. If field access is needed by the patron, please contact a staff member at the front gate or in the press box area for assistance. Tickets for the NCAA WCWS are processed via the NCAA and the Oklahoma City All Sports via this phone number 1-866- 208-0048. Once you purchase your ticket and have specific ADA needs, you must call Oklahoma City All Sports at 1-405-236-5000 and request your specific needs so they can be assigned with your ticket purchase and ready for your arrival.